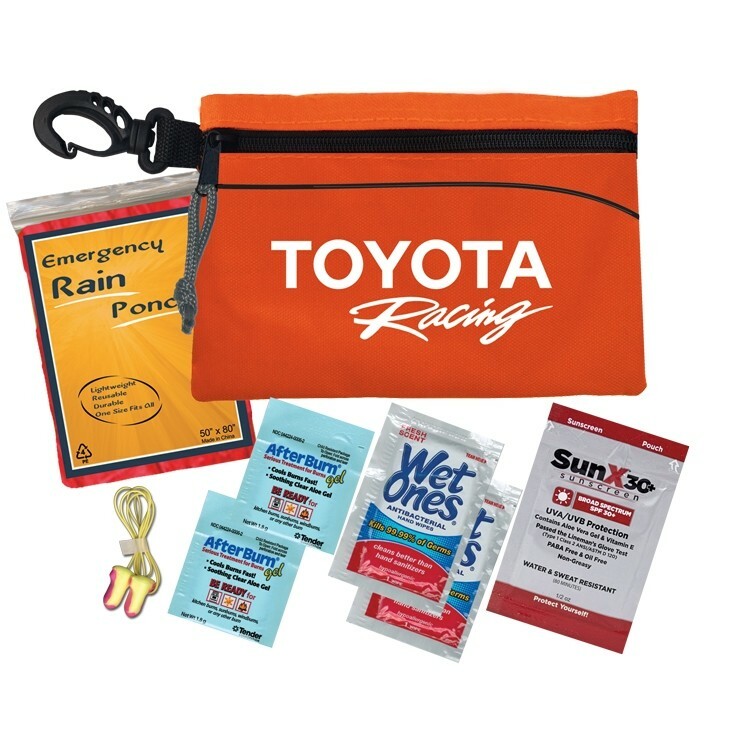 Your promotional campaign will be speeding towards success with the help of this racing event kit! 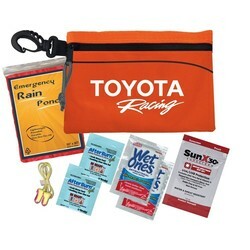 Perfect for race day, you can enjoy a day at the track during any weather conditions. All items are packed inside a 7.5" x 5" nylon bag, which is available in several colors and can be customized with an imprint of a company logo or message for brand exposure. 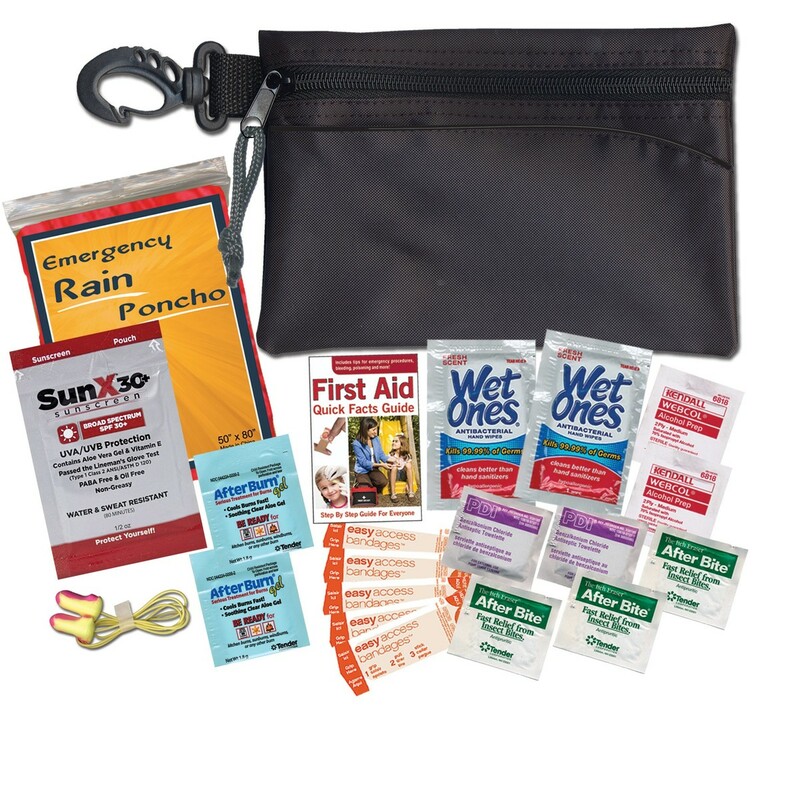 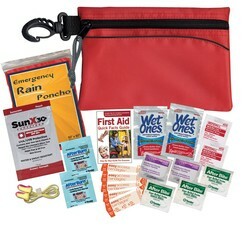 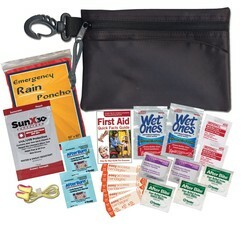 This kit includes 2 After Burn Packets, 2 Premium Sunscreen Packets, 2 Wet Ones Wipes, 1 Rain Poncho, 1 Pair of Earplugs w/ Cord, 5 Bandages, 3 After Bite Sting Swabs, 1 First Aid Quick Facts Card, 2 Alcohol Wipes, and 2 Antiseptic Wipes.